It was announced before Christmas, that an emergency hostel for homeless people could face certain closure if council proposals to withdraw its funding are carried through. 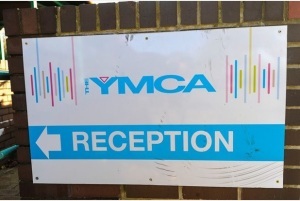 Milton Keynes YMCA operates the hostel from its base in North Sixth Street, as well as offering 123 flats to let to young people aged 18-35. But as part of plans to save £22 million for its 2015/16 budget, Milton Keynes Council is set to withdraw its £194,000 funding from the YMCA. “We are a safety net for people who have nowhere to go,” explains Simon Green, housing manager for the YMCA. However, are these plans too late? Ricky Oates arrived back in his hometown of Milton Keynes are receiving help for his mental health problems in London. But with the council unable to help house him, he ended up sleeping rough on the city’s streets. He was eventually saved when YMCA Milton Keynes offered him a place at their hostel. The hostel faces almost certain closure if budget cuts by the council force them to lose their £194,000 funding. In a recent interview, Ricky, aged 29, from the Lakes Estate, told how he was physically attacked on the streets, and how the YMCA helped him: “I suffered with mental health issues. The NHS funded me to go into a specific residential unit in London. I was promised by Milton Keynes Council that they would re house me when I came back to the area as they had a duty of a car. “I came back in March 2013, a year after being in London, and went to the council and was immediately told they had no duty to rehome me. “So I had no option but to sleep rough on the streets, it was a bit of an eye opener and it wasn’t very nice. For more than a year everywhere I went to stop the police arrived and said I couldn’t stay there. “I would go to places like the market, the railway station and different estates like Wolverton. I have slept in graveyards, anywhere I could get a bit of peace and quiet. “There was quite a few occasion where I was attacked outside. People would spit at me and kick me and call me a druggy or an alcoholic, and I was none of those things. “One person actually told me to go back to the country where I came from, which I found funny as I’m from Milton Keynes! “There’s a perception that you’re on the streets because you’re an alcoholic, a drug user or an immigrant. But it’s not always like that. “In August I accidentally came across the YMCA. Nobody had told me about it. I was just walking past the office and saw a sign for housing. So I slept outside the front door that night so I could see them in the morning, and asked how I could be housed. I was in the hostel within a few days.